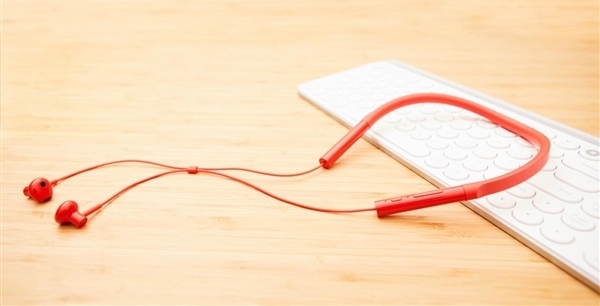 Today, Xiaomi has launched a bluetooth collar headphones youth edition. This device has a semi-inside corded design that is lighter (weighs 35 grams) and is comfortable to wear. These headphones have long battery life and support fast charging. The xiaomi bluetooth collar headphones youth edition is available in black and orange for 169 yuan ($25), with pre-sales starting today. Starting November 11, Xiaomi Mall, Jingdong, Tmall and other channels will simultaneously launch direct sales. The neck section of these headphones that comes in contact with the neck of the human body is made of high elastic soft rubber. This section is easily held tight by the neck that is non-slippery and protects the sensitive circuit board and the battery inside the headphones. In terms of sound quality, these headphones utilize the awesome combination of acoustic motion acoustic + composite diaphragm. This combination has high-frequency sound under the influence of magnetism and electricity. You can feel the energy and dynamism of the music in these headphones. These headphones are made for young people who love things beyond imagination. For this reason, there is also a bright orange version to attract the young. xiaomi bluetooth collar headphones youth edition still ensures the Xiaomi bluetooth headsets. After a charging clock, the xiaomi bluetooth collar headphones youth edition can play continuously for 7 hours of music.